Terry Downes, the former middleweight champion who defeated Sugar Ray Robinson, died “peacefully” Friday, according to his family. He was 81. 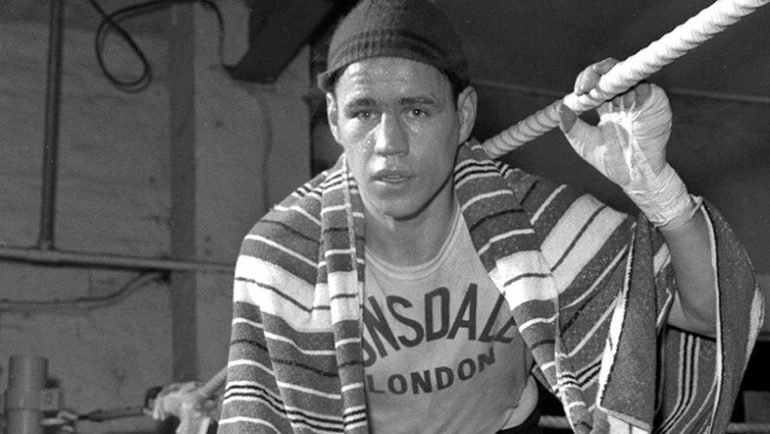 The Londoner had been the oldest surviving former world champion from the U.K.
Downes was born in England but moved with his family at 16 to the U.S., where he lived for five years. He fought in the service but began his boxing career in earnest after returning to England in 1957. Downes won the middleweight championship with a 10th-round stoppage of Paul Pender in a July 1961 rematch after losing by a seventh-round stoppage to Pender in January of that year. However, the reign was short-lived. Pender won the trilogy by outpointing Downes nine months later. Downes never won another title, but he would secure a legacy-defining victory over a 41-year-old Robinson in 1962. “I didn’t beat Sugar Ray, I beat his ghost,” said Downes, who won a 10-round decision. Downes moved up to light heavyweight shortly after the Giardello fight and earned a shot at titleholder Willie Pastrano in 1964. Downes was stopped in Round 11 and never fought again, retiring with a record of 35-9 (28 knockouts). He fought seven times against five world titleholders, going 3-4 in those bouts. Downes never gained entry into the International Boxing Hall of Fame but will be remembered fondly for his aggressive style and thoughtful interviews.